Add-on lenses for smartphones are one of the easiest ways of improving your mobile photography. I’ve seen some magnetic lenses, but what happens when your precious phone is hidden away underneath a protective case? 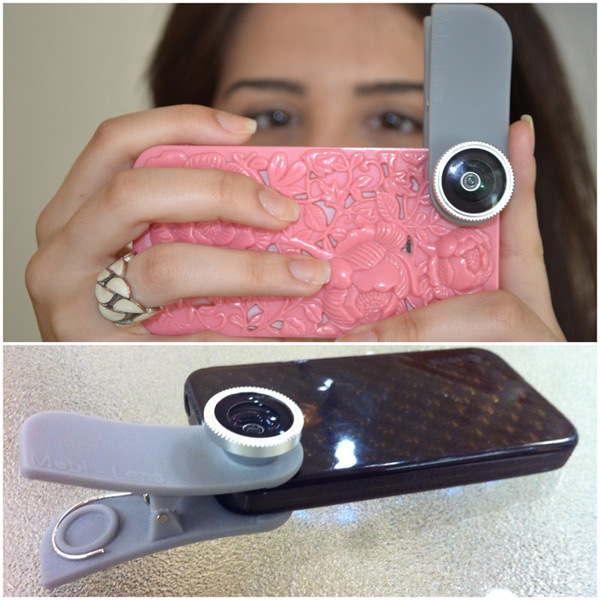 Mobi-Lens comes to the rescue with an interesting design for a clip-on lens that will solve your woes. Are you using your smartphone to Instagram and Tweet photos all over the place? 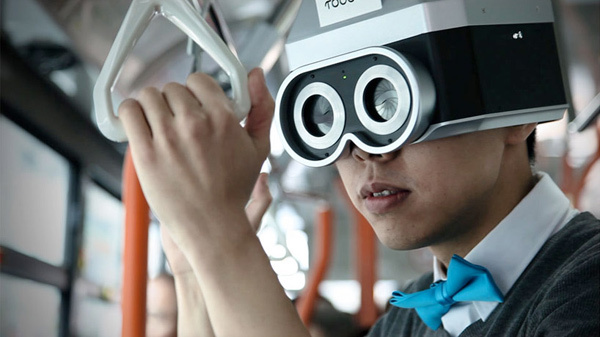 Get into the 21st century, thanks to TOUCHY, Eric Siu’s wearable camera that captures images from the perspective of its wearer. Are you tired of looking for that perfect iPhone boombox? Are you sick of those cheap looking plastic ones in every store? 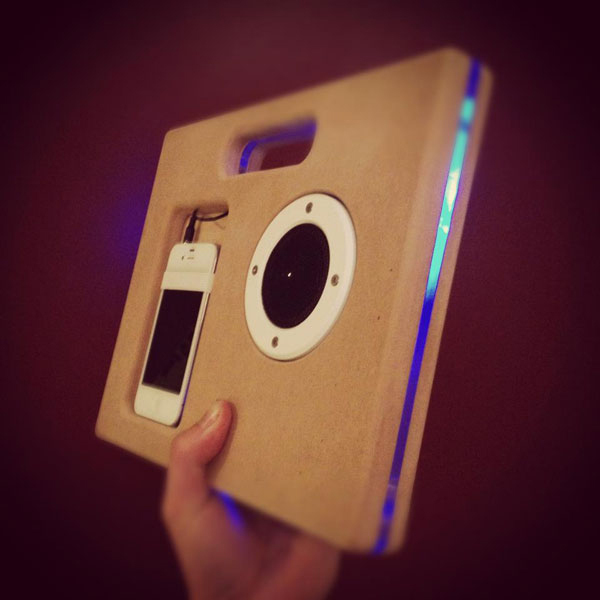 Take a look at this minimal wooden boombox. Check out how imposing a Darth Vader-inspired 100-dollar bill would look like! Personally, I’d like to see this in a future currency printing. This image is part of a project called Make Your Franklin by Vincent Desdoigts, Martin Joubert and Etienne Lecorre. While not everyone has access to a 3D printer, there are some amazing things that you can do with one. You can print iPad stands or anything else that you can think of. The overall design of this lamp is pretty simple, but the resulting Atomic Sun looks impressive. It’s strange to think that a bunch of plastic pieces that were made in a 3D printer were able to assemble into something like this. It’s true that most homes have a WiFi network. They allow everyone access to the Internet, no matter where they are in the house. Streaming stereos and devices that allow you to stream content from the Internet are becoming more and more popular, however this is a great hack to cheaply make your own. 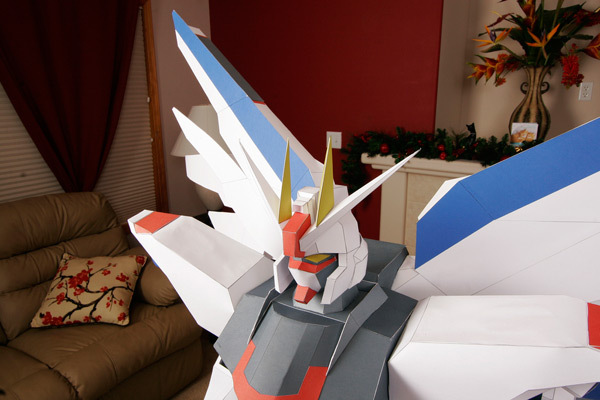 Amazing Papercraft Statue of Gundam Is 4 Feet High! While it’s certainly not as tall as the 59 foot Gundam in Japan, this 4 foot-tall version is still pretty impressive. Taras Lesko built this amazing statue of Freedom Gundam out of paper.